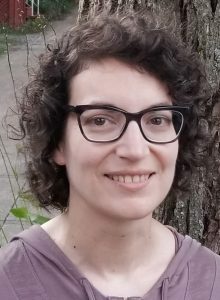 We are pleased to announce Melissa Rothfus (MLIS ’13) is the new Scholarly Communications Librarian for the Dalhousie Libraries. Melissa worked both as an intern and as a term librarian for the Dalhousie Libraries and we are thrilled to be welcoming her back. In addition to her work with the Dalhousie Libraries, Melissa has been a research associate with the Nova Scotia Health Research Foundation and with CNODES (Canadian Network for Observational Drug Effectiveness Studies). Melissa comes to us with an extensive teaching and research background. Prior to becoming a librarian, she obtained a PhD in Classics and worked as a Classics professor at several universities in History and Classics departments.